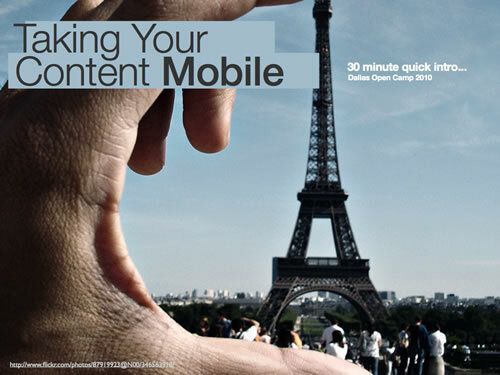 If your web-content mobile ready? If not, it probably should be. N&P alum Jeremy Johnson presents a litany of options during his Open Camp presentation in Dallas, TX. PDF is 24MB, view on Slideshare.